Welcome to another round of Iron Chef Mom! Our hostess this week is Kristi from I Should Be Mopping the Floor and our secret ingredient? Pumpkin! Like many of my kitchen exploits, I start to make one thing and end up in a completely different direction. As soon as I cut in to the pumpkin to roast it for my recipe, the kids were begging me to roast the pumpkin seeds. And I couldn't just do the regular seeds with a bit of salt...I wanted chocolate. So I mixed up a batch of this delicious topping and tossed my seeds. Then roasted in a 350 oven for 20 minutes. Super yummy. Fast...and dare I say...healthy? It's a quick fix for those times when you want something crunchy, but sweet. Too bad pumpkins aren't available year round for this, right? Seeds from one pumpkin, guts removed but not perfectly clean. Mix together in a bowl. The pumpkin seeds should be moist. This will help the flavors to stick better. Spread on a lightly greased cookie sheet. Roast in 350 oven for about 20 minutes, until they begin to pop in the oven. Cool completely. 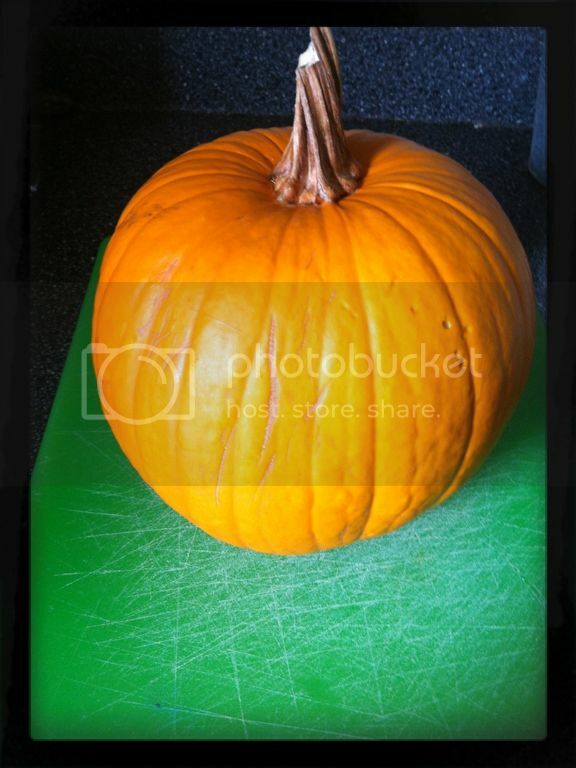 Don't forget to link up your pumpkin recipe at the Iron Chef Mom link party! 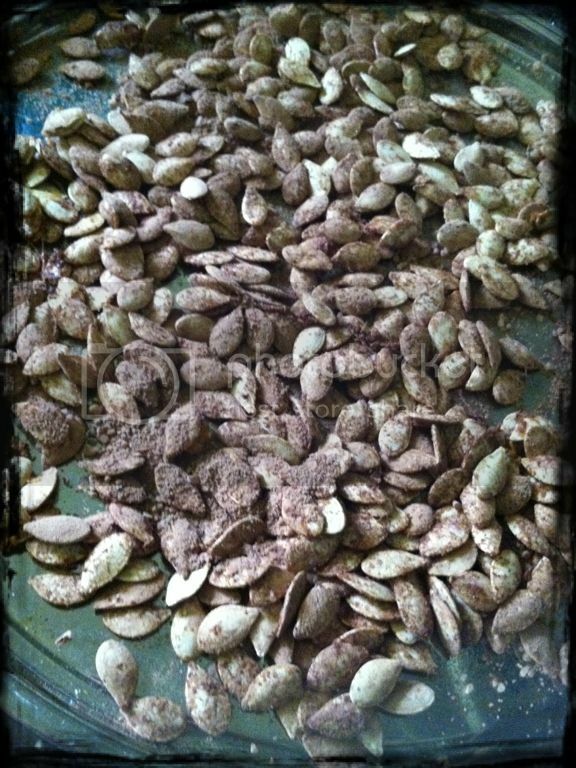 I've never thought to season pumpkin seeds with chocolate, but chocolate does make everything better! Hi Micki! Thank you for sharing your recipe at Project Queen's Link Party last week! I love pumpkin seeds... but chocolate? I'm definitely trying this recipe! I will be featuring it tonight at the Highlight Party. 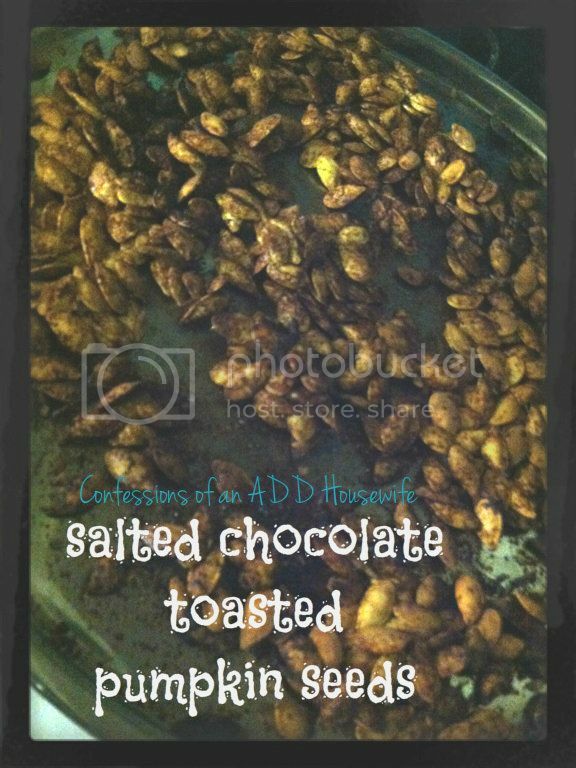 These sound like a great combo of sweet and salty, my favorite :) Thanks so much for linking up to Creative Thursday. Can’t wait to see what you share this week! Have a wonderful week. This is very interesting. I will have to try them out. Pinning to make for Halloween!